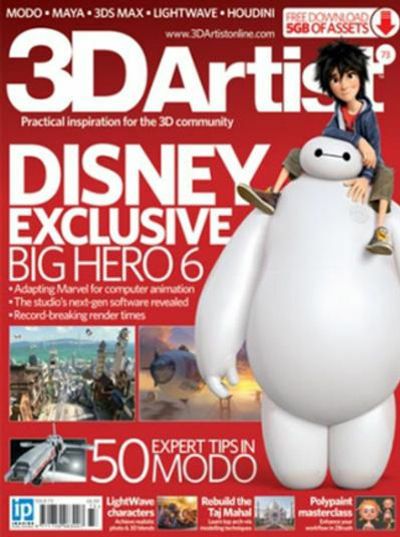 From expert tutorials covering the whole pipeline to incredible industry-led features on the likes of Pixar and Blur Studio, 3D Artist is the ultimate monthly magazine for 3D students, enthusiasts and professionals. PLUS: as a subscriber to 3D Artist, you have access to hundreds of creative resources via FileSilo - all for free! You'll find 3D assets, plugins, Photoshop assets, video tutorials and more. 3D Artist's FileSilo is a rapidly growing library that's updated continually with cool resources. Secure online access makes it easy to keep your downloads organised, plus you can browse and access the content from anywhere. The Pipeline: every month we bring you the very best in 3D tutorials, covering every aspect of the pipeline from concept to the final render. The Gallery: our expertly hand-picked selection of the very best artwork around. Tips & Tricks: pros from studios like MPC, Framestore and Double Negative reveal their best bite size tips in a variety of software. Tutorial features: extended tuition in programs like Maya, ZBrush, 3ds Max and Blender. The Hub: news, rumours, studio interviews, project focuses, reader galleries and more make up our wonderful community section. Reviews: expert verdicts on the very latest in software, workstations and 3D printers. Studio access: behind-the-scenes looks at some of the biggest VFX-led productions out there, from Inside Out to Gravity. Videogames: take your 3D creations into professional engines like Unreal and Unity.